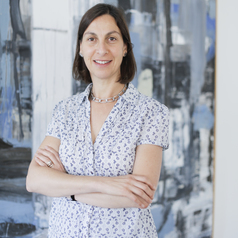 Beth Goldblatt works in the areas of equality and discrimination law, comparative constitutional law, transitional justice, disability, family law, feminist legal theory, and human rights with a focus on economic and social rights, and the right to social security in particular. She is the author of 'Developing the Right to Social Security - A Gender Perspective' (Routledge, 2016) and co-editor of 'Women's Rights to Social Security and Social Protection' (Hart, 2014, with Lucie Lamarche) and 'Women's Social and Economic Rights' (Juta, 2011, with Kirsty McLean). Beth is an Honorary Associate Professor of the School of Law, University of the Witwatersrand.